The Dauphin and Ste. Rose Veterinary Clinic are full service veterinary clinics providing care to pets, horses and livestock. Are goal is to provide the best care to each patient, big or small. 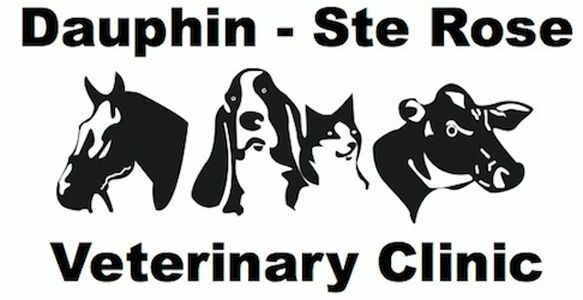 We have a team of 4 Veterinarians, 3 Registered Veterinary Technologists and 5 support staff. We provide a wide range of services including medicine and surgery, dentistry, and herd health to name a few. Please visit our website for a more complete picture. The Dauphin and Ste. Rose Veterinary Clinics are proud to serve our communities, and support our communities through donations and supporting many community events including the Dauphin Fair, Hoof 'n Holler Days, Watson Arts Council, 4H clubs, Credit Union Place and the Dauphin Kings, and Countryfest Community Cinema to name a few.